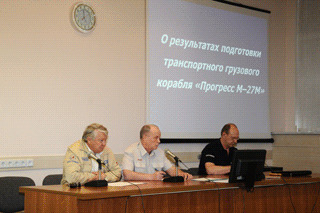 Progress M-27M arrived at the Baikonur Cosmodrome on October 4, 2014: http://www.roscosmos.ru/20984/ (in Russian). Launch is schedule for April 30, 2015, using a Soyuz-2-1A. Latest official update gives that launch date. Which launch date is correct? Is there a link to the Roskosmos official schedule? 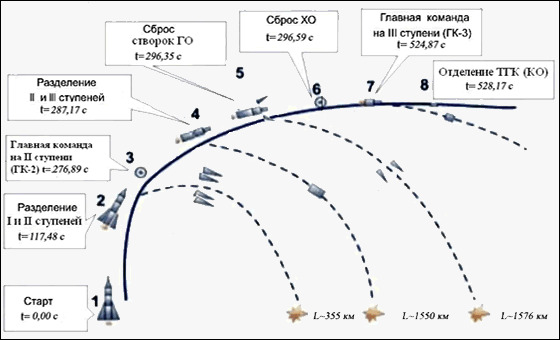 The following attachments of Soyuz-U and Soyuz 2-1a are for comparison only and should give you an idea of the plan based on past flights. At Baikonur launch site the preparations continue for the launch of Progress M-27M cargo vehicle under the International Space Station program. 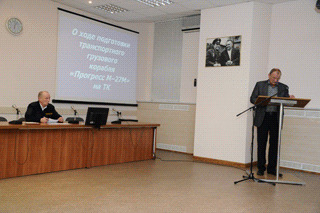 Today the Technical Management meeting took place, which made a decision to fuel Progress M-27M cargo vehicle with propellant components and compressed gases. So there is only one contract for four rockets at the moment. The tender for four 2-1A rockets was raised in July 2012, contract signed August 2012. 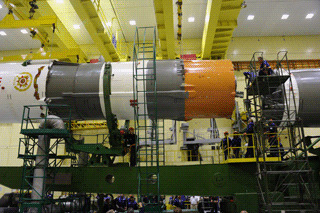 1st delivery was scheduled for June 2014, for the launch of Progress-MS № 432, scheduled for launch in October 2014. So any earlier possible use of 2-1A is incorrect? Yes. You can do us a favor and calculate the increased cost of using 2-1A vs Soyuz-U for Progress, to see if there is a significant difference. We could then figure out the launch cost of flying the additional 400 kg of payload. Serial numbers starting Г15000 are for 2014. If the sequence repeats as before then Р15000 for 2015 and У15000 for 2016. Старт ракеты "Союз-2.1а" с транспортным грузовым кораблем "Прогресс М-27М" намечен на 28 апреля. «Прогресс» почти полностью загружен. В нем – четыре тонны необходимых на орбите продуктов питания, воды, сжатого воздуха, сменных комплектов одежды для космонавтов. Есть и несколько особенных грузов. Ведь нынешний старт на МКС накануне Дня Победы. На его борту ставшие уже традиционными георгиевские ленточки для всего экипажа станции и копия знамени Победы. 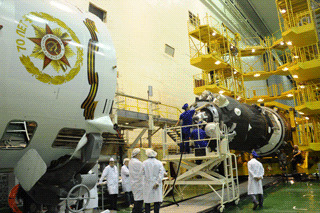 Today Progress M-27M cargo vehicle fuelled with propellant components and compressed gases was delivered to the Spacecraft Assembly and Testing Facility for final processing operations. 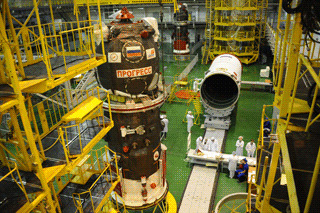 Progress M-27M transport cargo vehicle was docked with the transfer compartment in the Spacecraft Assembly and Testing Facility. What is the anniversary occasion? May 9--Victory Day? Designers inspection of the Progress M-27M cargo vehicle was completed. Payload shroud roll on to the Progress M-27M cargo vehicle was performed. 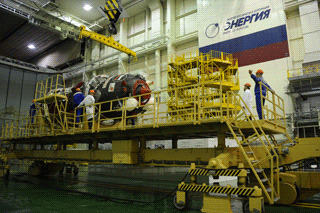 Orbital module containing Progress M-27M spacecraft was integrated with the Soyuz-2.1a launch vehicle in the processing facility. Technical management meeting and Government Commission meeting were convened today. A decision is made to roll out Soyuz-2.1a launch vehicle with Progress M-27M transport vehicle to the launch pad.